NEW PRICE REFLECTS RECENTLY ADDED INTERIOR SELECTIONS WITH HIGH LEVEL UPGRADES THROUGH FINISH. Great Lot in a quaint community of 68 Homes touching the Pinnacle GCC. 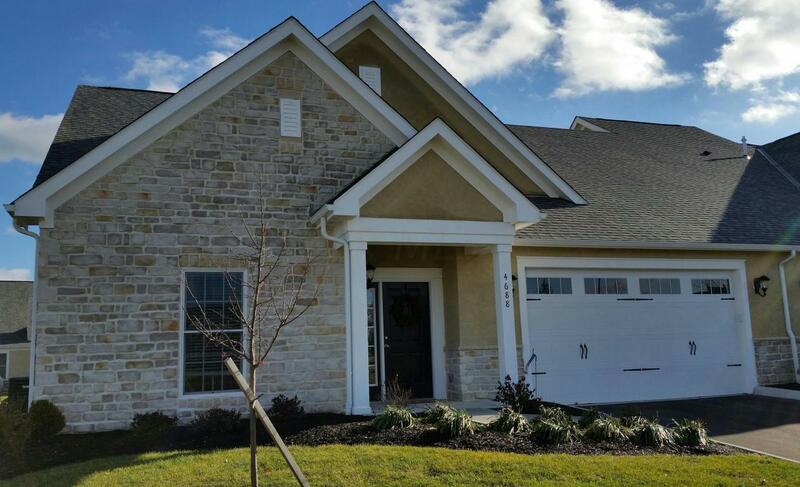 Stunning 1st floor Master Ranch Plan w/ gorgeous 4 season room abundant windows & light. Open 2 BRM, 2 BA home features an open & spacious kitchen w/ raised counter island, walk in pantry, Kitchen SS appliance package, Granite tops, 42" cabinets, above and under cabinet lighting, pull out waste basket and pull out trays in the cabinets, upgrade Trim & door package, wood floors, volume ceilings with abundant amount of windows & transoms for fresh sunlight, featuring Andersen Wood windows, an end unit design. Roomy, Master BRM & deluxe Master BA. 2 1/2 car garage w/ drop ladder and walk around storage above.